The dolls are taking a summer dance class so that they can be in the Fourth of July Parade that's coming up here and here they are warming up and doing some stretches. Zoe has been in dance the longest and loves to dance! Elizabeth just joined for the summer program to see if she likes it before deciding if she'll continue in the fall. Her real sport is basketball. This is the summer parade dance instructor this year, Miss. Elizabeth. She is so nice and encouraging for the girls. They are lucky to have such a positive role model to look up to. Elizabeth and Zoey are sitting here together watching Julie to see if she has the moves down that they were just working on. They are impressed with what she was able to learn in such a short time! Julie thinks she just might take up dance in addition to basketball this fall! 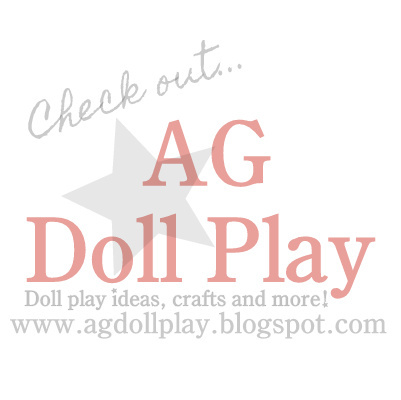 Are your dolls in dance this summer or partaking in any other fun activity? Felicity is doing horse back riding,flute,and violin. I love your dance class! Wow, she is one talented and busy lady!! Thanks for sharing and for your kind comments!